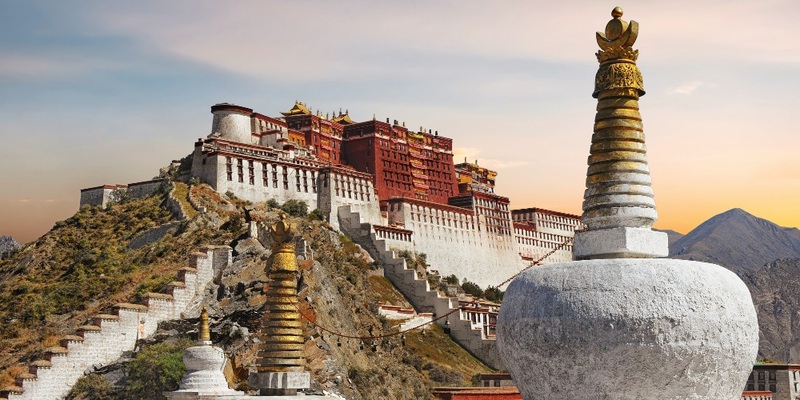 The Tibet Autonomous Region attracts many travelers every year in search of breathtaking scenery, unforgettable encounters with Tibetans and a mystical spirituality. Tibet is a gateway to the southwestern part of China. It represents 1/8 of the global surface of the country and it is populated with about 2 million inhabitants. The special history of this region began more than 4,000 years ago. The region of Lhasa, the capital of Tibet, has a certain charm. 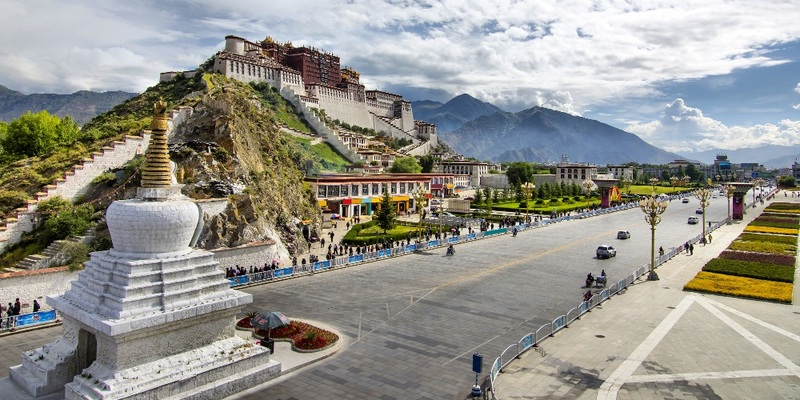 Traces of a 1300-year-old historical and religious culture are reflected in the presence of the Potala Palace, Jokhang Temple and Drepung Monastery. Located in south-eastern Tibet and therefore at the foot of the Himalayas, the Shigatse region of the region offers the most magical landscapes of the region: vast green meadows, forests, desert highlands and snow-capped mountains. The “Roof of the World”, as it is often nicknamed, shelters 5 mountains exceeding the 8000 meters of altitude. The Himalayan range with its Mount Everest is an exciting challenge for hikers and trekkers in the depths of nature. The Buddhist religion plays a very important role in the daily lives of Tibetans. This is the reason why many monasteries were built in the area. The Bön religion has lost its importance in recent decades. The oldest monastery is the Samye Monastery not far from Tsetang. Tibet International Airport is about 1 hour drive from Lhasa, not too far from Tsetang City. A train connects Beijing to Lhasa. It takes 48 hours to cover the 4,064 kilometers that separate the two cities. Inside Tibet, the car is the safest and fastest means of transportation. Public transport is not necessarily very well developed. They are slow and not very regular. 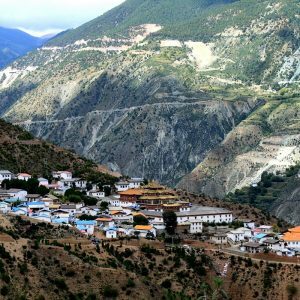 When to travel to Tibet? Because of its very high altitude, Lhasa is for example at 3,600 meters above sea level, the climate is extreme and harsh. The sun’s rays can be very violent. It is wise to bring sunscreen, lip balm and sunglasses. In the evening, temperatures can drop drastically. Even if the stay is in the summer, you should bring warm clothes. The best time to visit Tibet is from April to October. 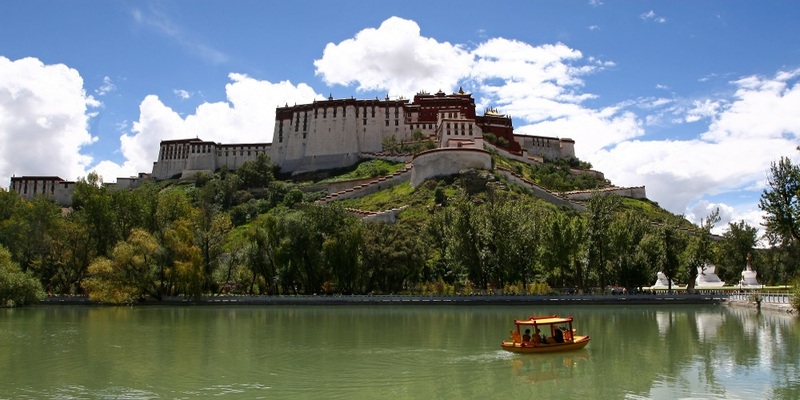 Detailed information about the climate in Tibet can be found on the following pages: Weather Lhasa and Weather Tibet. Where to sleep in Tibet? The “roof of the world” is full of places to stay. You’ll have something for every budget, from small B&Bs of incomparable charm to large hotels located in the city center, near the main sites to visit, or in the surrounding countryside. That’s why we have selected for you the best hotels in Tibet, combining comfort and quality of services.